Handi is a traditional pot-shaped utensil made of clay or metal, which has been used for slow-cooking since time immemorial. It is like a pot-shaped deep pan. When cooking food in a handi, the lid is sealed to the pot using dough, so the steam does not escape. This enables the food to be cooked using its own water content, which enhances its flavour and aroma, and also retains the nutritional value. Foods cooked in a handi have a unique taste and aroma. 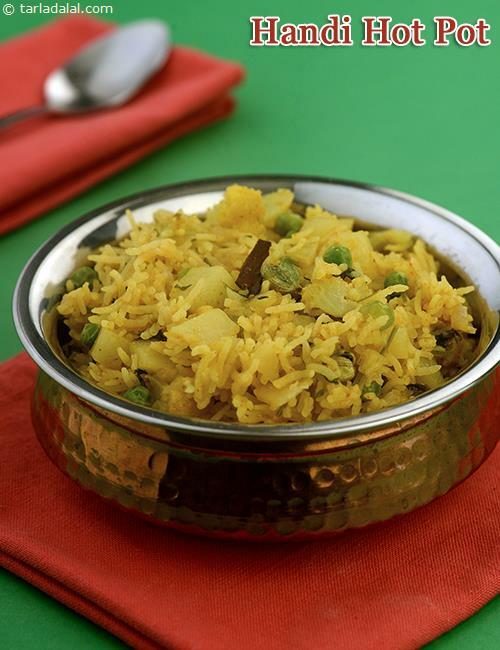 Try delightful treats like the Handi Khichdi and Lajjatdar Handi Biryani to experience the magic. A dessert made with a difference! Brinjal imparts a unque flavour to the dal.